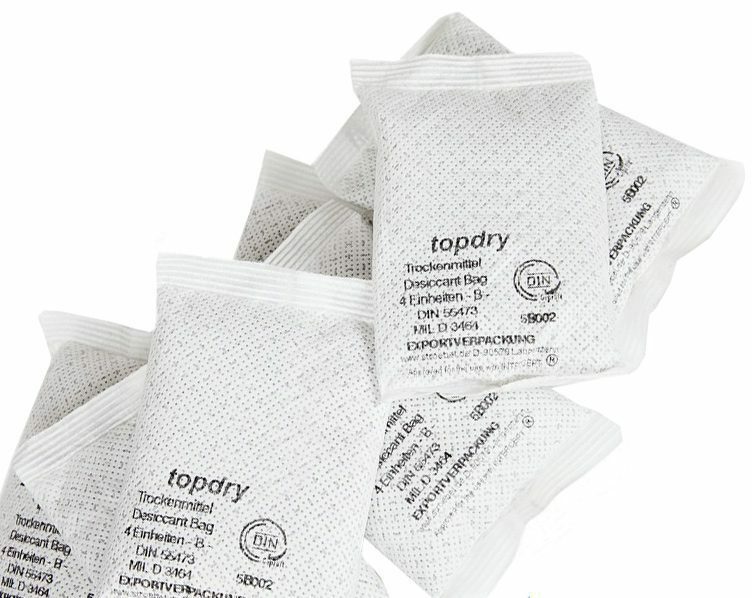 Valdmarks TopDry ® Desiccant Sachets with Tyvek ® casing technology are designed to combat the effect of damage to goods during transport or storage. The main problem being that of excess moisture on goods. This often produces internal corrosion, even when products are in a hermetically sealed environment. The activated clay used is a natural compound with excellent moisture absorbtion properties. Suitable for all applications expect use with food stuffs, medicine and pharmaceuticals. 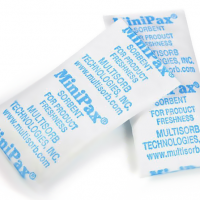 See our Minipax Sorbent Packets for a suitable product. Please see below our box quantity discounts. Pallets of 48 boxes available. 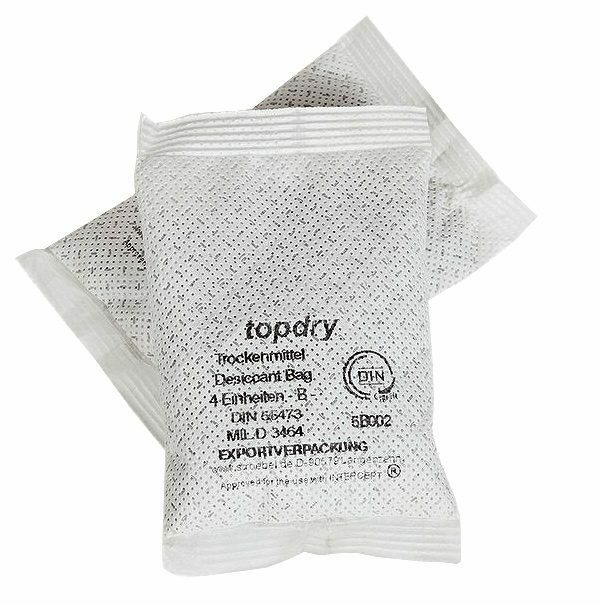 Valdamark TopDry ® desiccant bags are a patented formula which out-perform competitors products for nearly all moisture control applications. 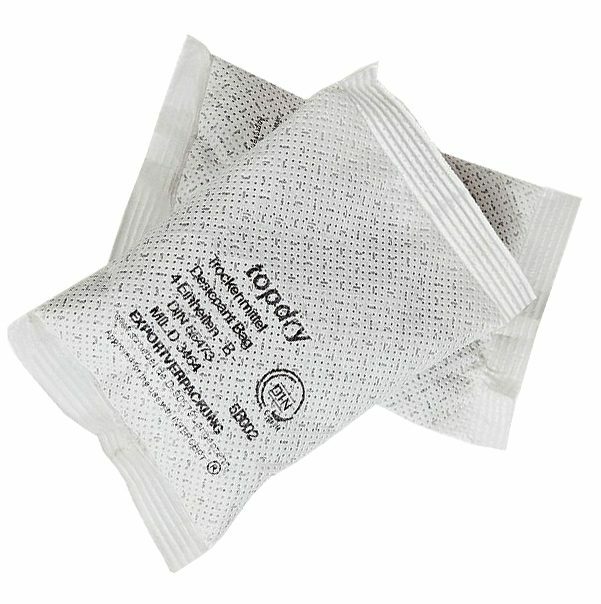 These desiccant bags are market leading and continue to prove themselves highly effective for moisture control in enclosed environments. They perform optimally when used in conjunction with our foil bags. This ‘hermetically sealed’ environment allows the desiccant to control the moisture levels. When used in conjunction with this packaging any excess water vapour is prevented from entering the enclosure. The desiccant protects the products from moisture damage throughout it’s lifespan. They come delivered in a sewn desiccant sachet. Available in standard sizes from stock for your convenience. 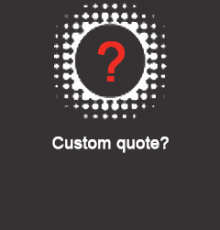 Valdamark Direct can supply volumes to suit any project size. 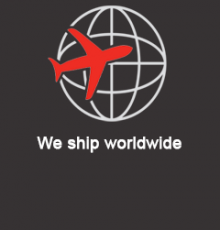 With a low minimum order policy our desiccant can be supplied in a few to several thousands units. For large orders or our bulk discounts are market leading. Each advertised packaging unit comes sealed in a heavy duty polythene bag enclosure contained within each box quantity. Metal based products, retail goods, diagnostics equipment and electronics. All are perfect for use in conjunction with our Silica Gel and Desiccant products. However a product as versatile as this is constantly discovering new uses for itself. 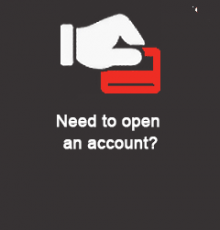 ‘Best in class performance and functionality. For a well sealed item we recommend 6 grams for every cubic foot of volume. Or 180 grams per cubic meter of volume. 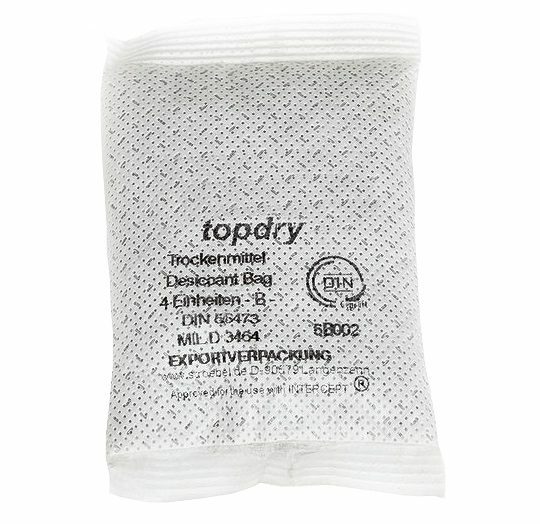 In order to maintain humidity levels we recommended to use several smaller sized desiccant bags. Space these out in the enclosure rather than singular ‘large’ sized units. Model B, dust-proof, Tyvek shell material. Molecular desiccant fill. Approved to (DIN 55473). Manufactured in the U.S.